Summer Reading Club registration begins June 25th, 2018 and will run until August 6th, 2018. If you have not already registered for Summer Reading Club (open to all ages), click here to sign up and log minutes. Once you have completed your registration you will be able to log in and record your summer reading accomplishments. Each of our libraries will be doing prize drawings/giveaways (some locations will do weekly drawings, others will have a final prize drawing at the end)! Some of our branches will hold in-library drawings so be sure to contact your local library for branch-specific Summer Reading Club details. Summer Reading Club continues at the Horseheads Library. Stop in for a show, log your minutes and enter prize drawings! Booker’s Clubhouse returns with story/activity hour – summer reading club for pre-readers! Adults who register for Summer Reading at Horseheads and log reading minutes each week will be entered into a weekly prize drawing and will be eligible for the grand prize drawing: two season tickets to the Clemens Center Broadway series – 5 Broadway plays! Also, adults can enter once per visit for a summer gift basket! Summer Reading Club continues all month long stop by to register or log minutes and receive entries for the gift baskets of your choice! Reach a minimum of 500 minutes and automatically get entered for our grand prize drawing. Scavenger Hunt – All month long, no set time. Mondays, 2:00pm – Theater Camp, Registration required! July 9, 6:30pm – Teen Acting Workshop Series. (Mondays in July. Registration required 733-9175). July 11, 3:00pm – “To Be Honest, “ a one man show by Tim Collins. July 11, 6:30pm – Safe Zones for LGBTQA teens. 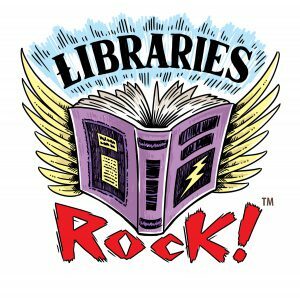 Adults who register for Summer Reading at Steele and log reading minutes each week will be entered into a weekly prize drawing and will be eligible for the grand prize drawing (MP3 Player and Blutooth Speaker). Attend weekly programs with your “punch card” and redeem “punches” for prizes at the Steele Reference Desk. July 11, 3:30pm – Magic Tim’s Spectacular Magic Show & Balloon Creations!! July 18, 3:30pm – “Pet Rocks”: Choose a rock paint it, add eyeballs, tail, ears, whatever! July 25, 3:30pm – “The Nate & Kate Kids Show”: Performers Nate & Kate will have songs, juggling routines & music! July 11, 3:30 – Magic Tim’s Spectacular Magic Show & Balloon Creations!! July 18, 3:30 – “Pet Rocks”: Choose a rock paint it, add eyeballs, tail, ears, whatever! July 25, 3:30 – “The Nate & Kate Kids Show”: Performers Nate & Kate will have songs, juggling routines & music! July 16, 1:30-3:30 – Tablet Talk: Learn to use your device! Our 6 week Summer Reading Club for Families, Teens, and Adults has begun! Stop in each week and enjoy a special, fun-filled program. Report your reading online each week for a special prize and an exclusive invite to our Final Reading Club Party at Eldridge Park.